Bukhara is a historical place. 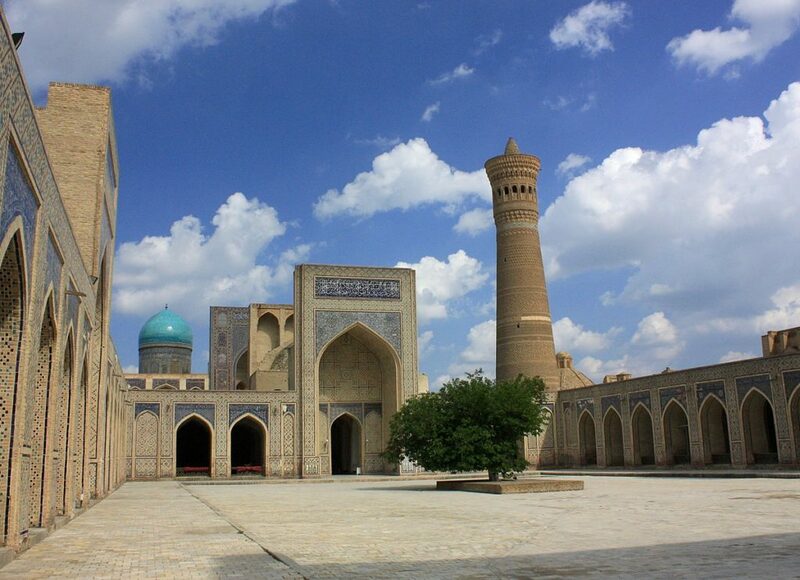 Bukhara is quite an attraction among tourists for its ancient architectures as well. 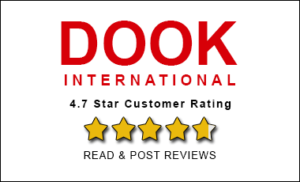 The most famous tourist place in Uzbekistan is also Bukhara for this reason. 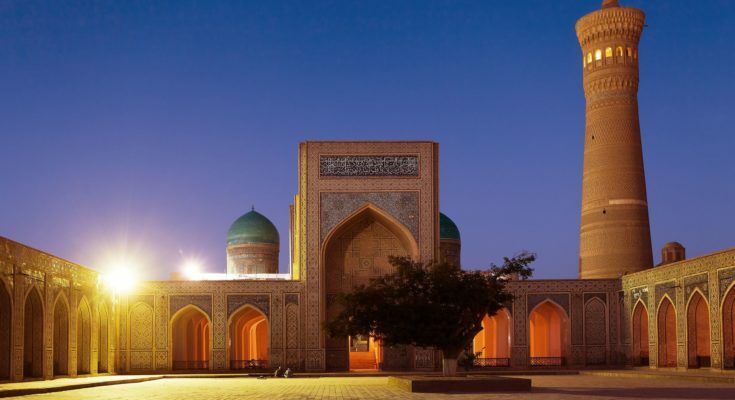 This makes a way to talk about one of the famous place in Bukhara, which means we will explore Great Minaret of Kalon in Bukhara, Uzbekistan in this article. Its sky high structure must drive you to capture it in your camera from different angles. This Minaret of Kalon has stood since 1127 which means it is old over 850 years. This 47m tall building used to be highest of its time. The story of making of this tower is also interesting. So why wait, let us Explore Great Minaret of Kalon in detail. The story behind making of this minaret is that Karakhanid ruler Arslan khan had killed in a fight and so the imam appeared in dream of the Karakhanid ruler and asked him to oblige by laying his head on a spot where nobody could tread. Thus Arslan Khan got the Great Minaret of Kalon built over his grave. But the general story is that minaret by designed by Bako and was built by Karakhanid to summon Muslims to offer prayers 5 times a day. The beauty of engineering of this minaret is that it is supported by 10m deep foundations padded with reeds so to make it earthquake proof and in times of over 850 years the minaret never needed any repairs. In early times The Great Minaret of Kalon also acted as a guide for caravans on Silk Road. Later on in 18th-19th century minaret was also used for punishing men to death by throwing them from the top. The present Kalon Mosque that one sees today was made in 16th century but opened as working mosque however only in 1991 after getting rid of Soviet Union. Above was the history part of Great Minaret of Kalon in Bukhara. 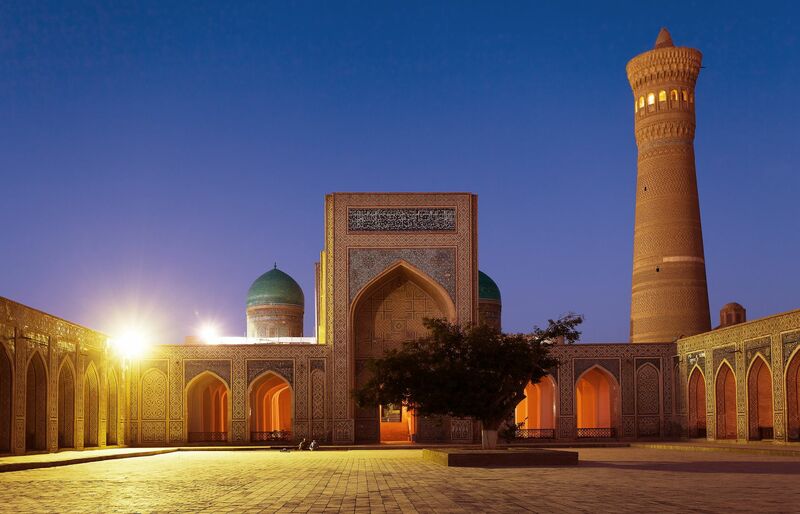 Today this Minaret is a wonderful tourist destination in Bukhara, Uzbekistan. The minaret has 14 different ornamental bands. 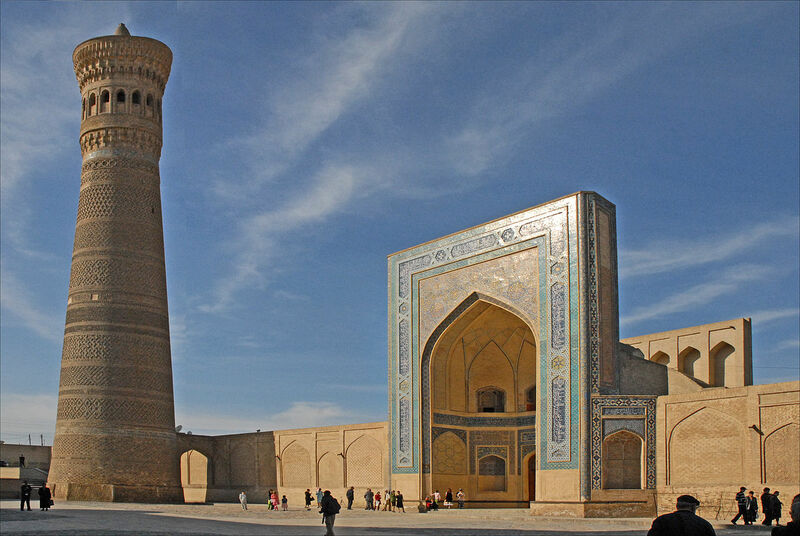 It was here across Central Asia when first time glazed blue tiles were used which still looks wonderful to see. If you want a magnificent view from the top then you must climb up the Kalon minaret. But you need to go up with 105 stairs that are accessible from the Kalon Mosque. If you love to roam around a historical city and see details of old beautiful monuments apart from its utility part then The Great Minaret of Kalon will serve you as a great tourist destination. Whenever you plan to take a Uzbekistan travel package then going to Bukhara is must and going to watch the great minaret of kalon is highly advisable.